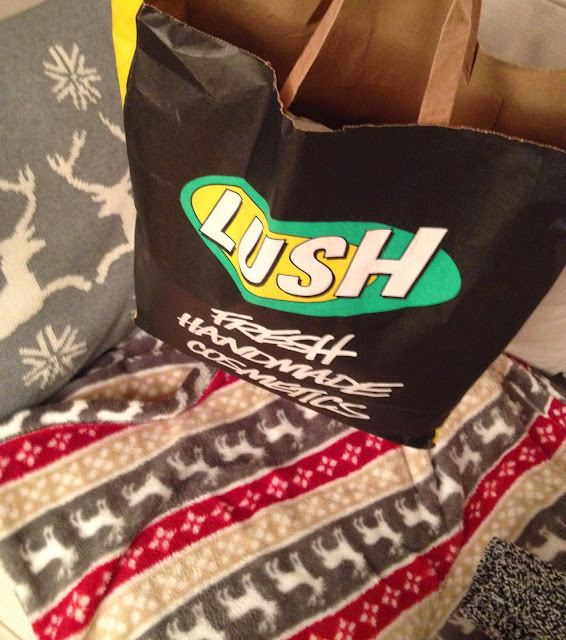 Currently I have been doing a little bit of shopping, which i mainly mean having a splurge in Lush. Fist things first I grabbed on of the Lush Christmas classics which is the "So white" bath bomb. It smells amazing, feels amazing when you come out of the bath and I'm repurchase it over and over again every year. It's a subtle and light scent of apples and other smells I can't really describe, so if You aren't much of a fan of heavy and strong scents, this is Your bomb! And again it's a classic and a must-have for every Christmas-time. Next one is probably the smallest bath bomb I have every seen. It's called "Cinders", which always reminds me of Cinderella haha. I think this bath bomb has been in stock for a while now every year but I have never really bothered smelling it. But this year I did, and oh my God it smells so nice! I literally want to eat it. This smell is a little bit stronger than the previous one and not for everyone as it smells like a mixture of cinnamon and honey and a typical Christmas scent I can't identify t the moment. So it's definitely worth a sniff :). Next one is probably the cutest one out of my collection. It's the "melting snowman" and basically it's so hard to put him in the bath. I mean look at his face!! This bath bomb smells literally like a cinnamon stick, so if you don't like cinnamon i would not recommend this as the scent is quite strong, but if you do it's a duty to give it a go! :) And I mean, who can resist this cute little face?? Last one (and also the most christmasy one) is the "holly go lightly" bubble bath and let me put out there this thing is so much heavier and bigger than it looks so you can use it multiple times. Again super christmasy. It has a mistletoe on it and a LOT of silver glitter. Lush do love their glitter on their bathing devices I have to admit haha :). Take the scent of a christmas tree, candles, cinnamon, baked apples and christmas treats and boom here you have the smell that describes this bubble bath. So basically it smells like christmas.